THE High Court has dismissed as not urgent an application by a group of small scale miners who are accusing former Zifa chief executive officer, Ms Henrietta Rushwaya, of defying a court order by allegedly masquerading as the president of the Zimbabwe Miners’ Federation (ZMF). The ruling by Bulawayo High Court judge Justice Thompson James Mabhikwa followed an urgent chamber application filed by the group of miners under the banner Zvishavane-Mberengwa Miners’ Association (ZMMA) citing Ms Rushwaya, Mr Wellington Takavarasha, the ZMF chief executive officer and ZMF, as respondents. Justice Mabhikwa ruled that there was no urgent in the matter. The matter will, however, be heard as an ordinary court application. “Whereupon, after reading documents filed of record and hearing, it is ordered that the matter be and is hereby removed from the roll of urgent matters,” ruled the judge. ZMMA filed an urgent chamber application at the Bulawayo High Court last week, accusing Ms Rushwaya of taking over the leadership of ZMF through unorthodox means. ZMMA is being represented by Mr Tawanda Tavengwa of Mutuso, Taruvinga and Mhiribidi Attorneys while Professor Welshman Ncube of Mathonsi Ncube Law Chambers is the respondents’ lawyer. Ms Rushwaya contested in the ZMF elections which were conducted in July and was duly elected president of the organisation. ZMMA accused Ms Rushwaya of attempting to take over the leadership of ZMF through unorthodox means. The miners argued that the process was fraught with irregularities and vote- buying by Ms Rushwaya and wanted the elections for a new ZMF national executive postponed indefinitely citing interference by members of the federation’s general council. In the latest urgent chamber application, which was dismissed by Justice Mabhikwa, ZMMA wanted an order interdicting Ms Rushwaya from misrepresenting or portraying herself to the public or any institution as the ZMF president. They also wanted the court to nullify all contracts entered into and signed by Ms Rushwaya purportedly on behalf of ZMF. In his founding affidavit, ZMMA chairperson, Mr Thembinkosi Sibanda, said Ms Rushwaya is violating a court order by continuing to masquerade as the president of ZMF and signing agreements on its behalf. “The first respondent (Ms Rushwaya) and second respondent (Mr Takavarasha) are seemingly masquerading to the public as the duly elected officials of the third respondent (ZMF) in direct contempt of the provisional order granted on 14 June 2018. 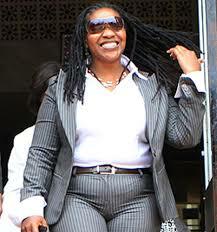 Ms Rushwaya is misleading the public by stating and behaving as if she is an elected president of ZMF,” he said. Mr Sibanda said Ms Rushwaya recently entered into an agreement with Metbank Limited in her purported capacity as president of ZMF. “The first respondent must be held in contempt of court. She is wilfully and intentionally contravening the provisional order, and thus circumventing the integrity of this honourable court and undermining its authority,” said Mr Sibanda. He said in light of the upcoming 2018 edition of the Mine Entra in Bulawayo, there are fears that Ms Rushwaya and Mr Takavarasha could enter into lucrative deals purportedly on behalf of ZMF. “There is no doubt that if Ms Rushwaya is not sanctioned she will mislead foreign investors and lure them into signing void contracts purportedly binding ZMF hence suffering irreparable prejudice,” he said. Mr Sibanda said in his papers that Ms Rushwaya has been accused of corruption before and fears were that if allowed to masquerade as president of ZMF, she was likely to defraud the public. ZMMA said ZMF unproceduraly admitted 13 new associations to join the federation. The organisation also queried Ms Rushwaya’s intention to run for the ZMF presidency yet she is not affiliated to the organisation. Ms Rushwaya is alleged to have paid $6 500 affiliation fees for the 13 new associations whose admission was irregular and a violation of the ZMF constitution.